The Heroic Adjectives category include words which are fit to describe a hero/ heroine or heroic acts, while the Sporty Adjectives list is composed of adjectives that are used to modify a person who engages in athletic activities. For the Romantic Adjectives list, the words included are those which are commonly used to express affection and describe a romantic partner. 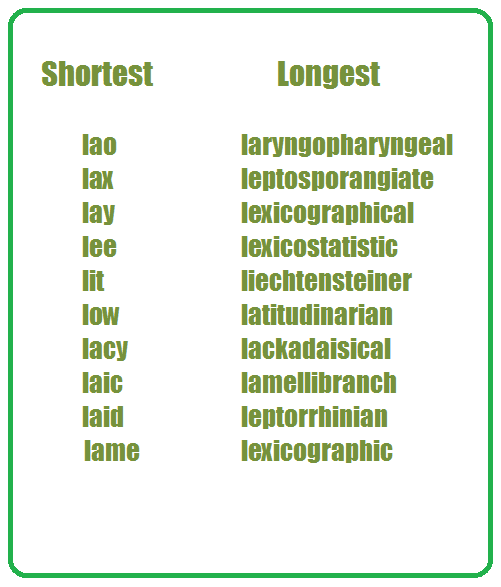 Lastly, the Shortest/ Longest Adjectives include the adjectives with the least and the most number of characters. All of the descriptive words included in the lists are presented with their definitions. 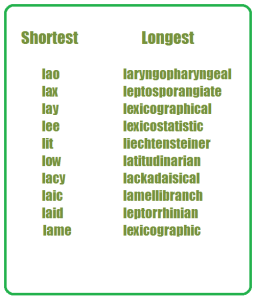 Furthermore, an example on how each adjective is put into use is also provided. lilliputian: trivial or very small. – America’s banks no longer look lilliputian in comparison with Japan’s. loquacious: tending to talk a great deal; talkative. – a loquacious dinner guest. – Evan is a learned man. – The judges were lenient. – They have more liberal views toward marriage and divorce than some people. literate: able to read and write. – they left a lasting impression. – The bed is large enough for me, Tina and a friend to lounge on. – The bedrooms are light and airy. – The forest is luxuriant and provides home for various species. luxurious: extremely comfortable, elegant, or enjoyable, especially in a way that involves great expense. – The bedrooms have luxurious marble bathrooms. – I’m very lazy by nature. – He is a lumpish performer. – It was a lame party. – The Krakatoa eruption was the most lethal on record. libelous: containing or constituting a libel. – His libelous interview against LaRouche. – It was a lawless, anarchic city. – This town is loathsome. – He remained loyal to the government. – Who is the leading football team? lithe: thin, supple, and graceful. – She looks fabulous in her ladylike dress. – You are a very likeable person. – You have lovely eyes. – She was annoyingly lackadaisical and impractical. – A leptorrhinian woman can be attractive if her face is long enough for her nose.